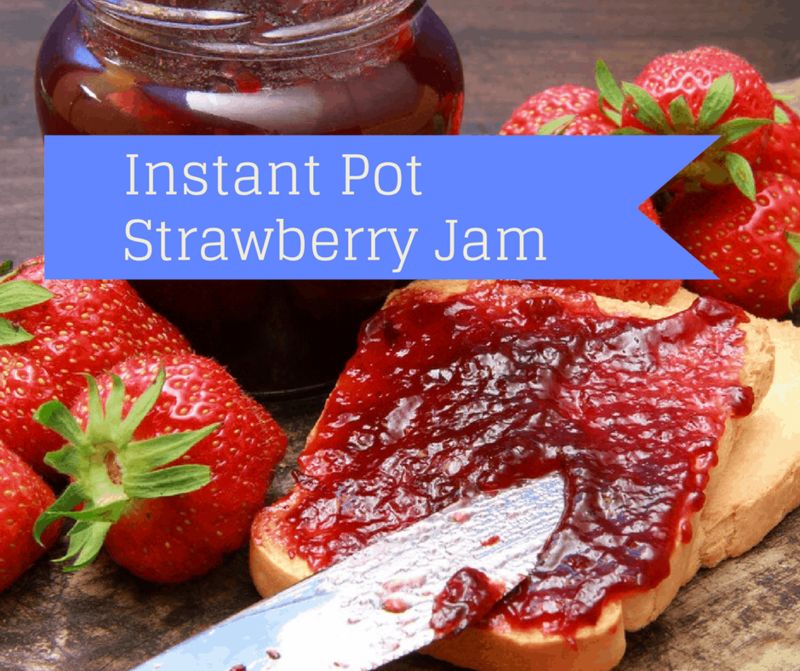 This was one of the easiest and fastest ways to make strawberry jam, and I have been making it for 12 years. It was an incredible experiment. 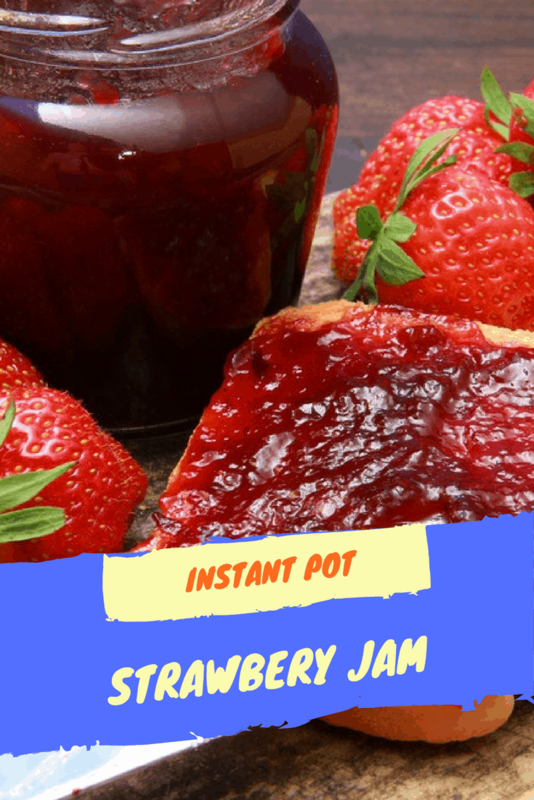 It’s also my son’s favorite thing to eat, and with a few ingredients, you can make this delicious jam too. 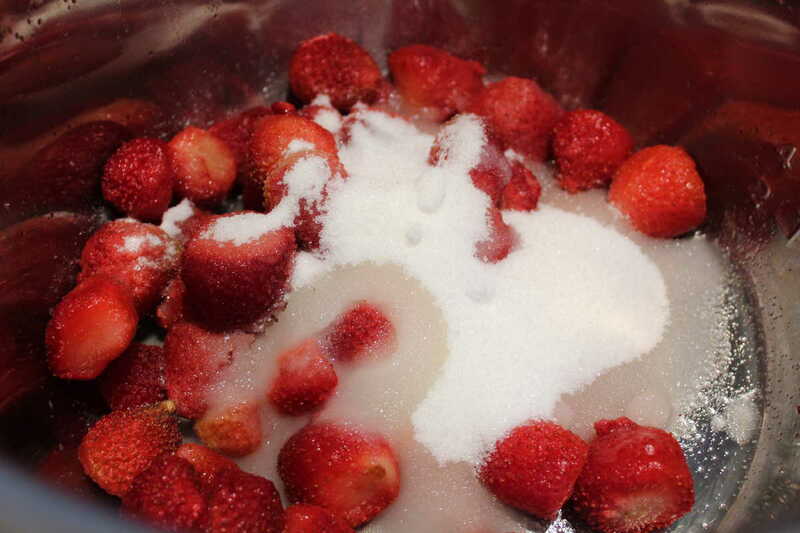 Add the sugar and lemon juice and set the time for 3 minutes. Let it naturally release. When it’s done the cooking, stir in the cornstarch/water mixture. 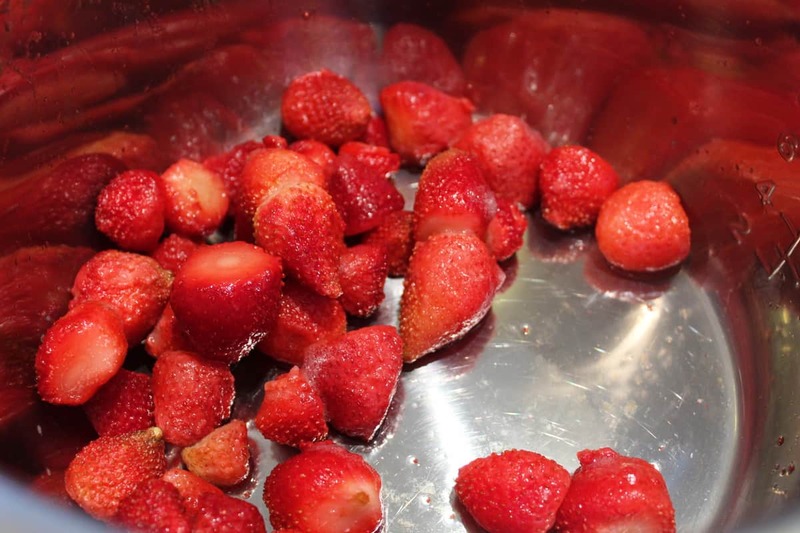 Add your strawberries to the Instant Pot, then add the sugar and lemon juice. Mix well. Set your manual high pressure to 3 minutes, with the vent sealed. Mix in the cornstarch and water. Let sit, and stir. When it cools down, pour it into an air-tight container. It will last 2 weeks in the refrigerator. Can this be water bath canned for shelf storage? Thanks! Could you use Stevia instead of sugar?